Rent Bucharest .net is focused to offer luxury Bucharest rent apartments to its clients through its 2 separate divisions: Long Term Rent Apartments and Serviced Apartments. The first one deals with Bucharest apartments suitable for longer periods of rent in Bucharest, usually measured in years, and the second one, with short term rental apartments, through a package that includes Bucharest rent along with hotel-like services, for periods shorter than 12 months. Our apartments are very well selected and are linked to a sharp property management unit that insures the client can concentrate on his/her work, and not on solving real-estate issues. New to Bucharest ? 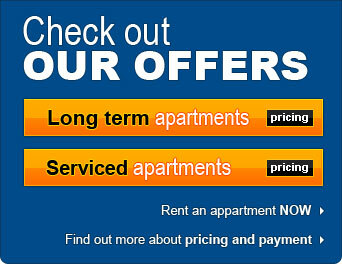 Contact Rent Bucharest .net first, we're here to help you !